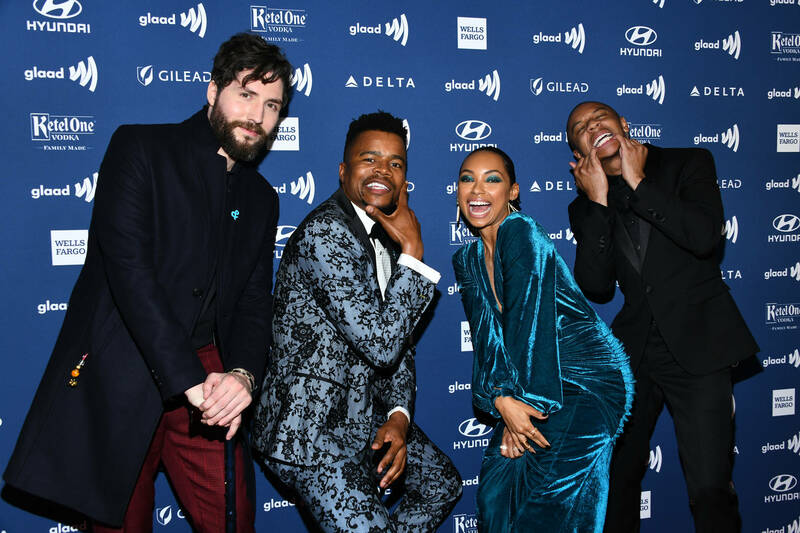 DeRon Horton who plays Lionel Higgins on Netflix's Dear White People was present at last week's GLAAD Awards where he attempted to be funny for the crowd but unfortunately, it didn't pan out the way he had hoped. During Tanya Saracho's acceptance speech for winning an award for her Outstanding Comedy Series (Vida) DeRon interrupted her and said "I'mma let you finish" before running backstage. As we know, the line is from Kanye West's infamous moment when he interrupted Taylor Swift at the 2009 MTV VMAs when she beat Beyonce for the Best Female Music Video award. According to The Hollywood Reporter, the crowd was all crickets when DeRon made the interruption. Beyonce and Jay Z showed up after the embarrassing moment to accept their Vanguard Award but it would have been interesting to see how Bey would have reacted.